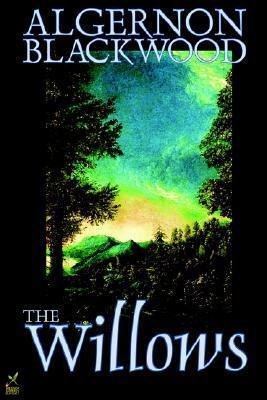 Algernon Blackwood (1869-1951) was one of the all-time great supernatural writers, and "The Willows" is his masterpiece, praised as one of the greatest horror stories ever written. "Mountains overawe and oceans terrify, while the mystery of great forests exercises a spell peculiarly its own." Um. This one is hard to decide on rating-wise. Loved the writing style - it was beautiful, clever, haunting and heady stuff. He writes so well I'll definitely check out more of his work. Atmosphere - So thick you could cut a knife with it. Outstanding tension, creepy tone, I can hear the humming and picture the swaying willows...Atmosphere is the top redeeming quality for this story. If you think of 'The Willows', this is what a reader will probably remember first. Characters - I enjoyed the two friends who traveled to a beautiful place to meet a nightmare. They complimented each other with their differences, spending some time trying to convince either themselves or the other that they were wrong that there was something out there. It was told through the POV singular, and the lead was an interesting man because he was intelligent but fond of self-delusion for the sake of peace. He also had a small dose of humor in his thoughts at times. The Willows are, of course, another cool trait of the story. Who doesn't love Willow trees? Too abrupt an ending, I wanted to know the small things that happened next, like their fate. Sometimes too muddled/confusing. I know the writing style, the atmosphere, the gothic terror tone, were all weaved together to make a story that is surreal and messes with your head...but sometimes it was overdone a bit much and I'm still not sure of everything that went on with the ending explanation. Not that much happens other than tone and their instincts - a few small events but nothing too huge. Overall it's a great short story that reads like a gothic atmospheric dream. A great introduction to Blackwood - Again, the name Algernon Blackwood is so cool the man SHOULD be remembered by that alone (sounds like a noir detective or something) - and I've heard he has even better stuff out there. Will definitely hunt that treasure down. Oh, and the author wins brownie points for his ridiculously cool name. "Untrodden by man, almost unknown to man, it lay there beneath the moon, remote from human influence, on the frontier of another world, an alien world, a world tenanted by willows only and the souls of willows. And we, in our rashness, had dared to invade it, even to make use of it!"